I have a great amount of updating to do! First, I want to say what a joy it has been to work with the good folks at Four Chambers Press (facebook) (twitter). 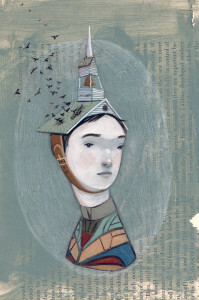 They chose three of my poems for inclusion, one of which is available online: “Local Church Falls in Love With Area Library.” The poem won a $25 prize, and was illustrated by a very talented artist named Rebecca Green. Illustration appears below. This poem is dear to my heart, as is the man it is about. I couldn’t have asked for it to be included in a better journal. 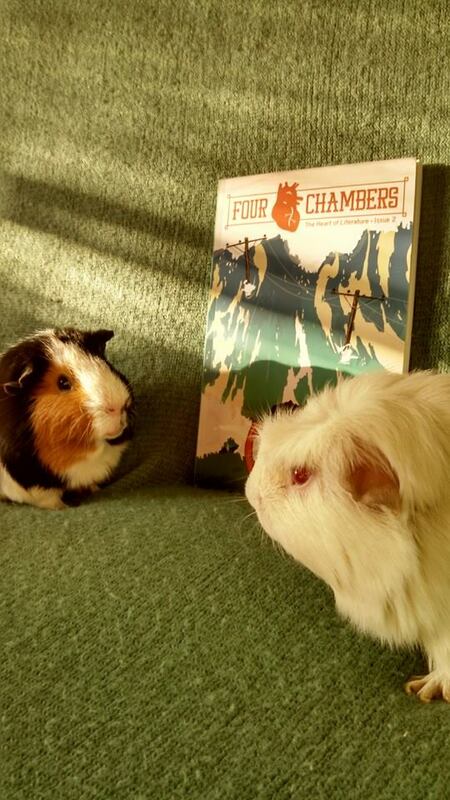 Four Chambers is great at promoting their writers and artists, and I really see this journal going places. I encourage all of my writer friends to submit! Bonus: Bernie and Jasper enjoy my contributor’s copy below.